Located in the Wairau Valley, Marlborough New Zealand, Wairau River Wines (pronounced why-row) was established in 1991 taking its name from the beautifully braided river on whose banks Phil and Chris Rose planted their first vines. 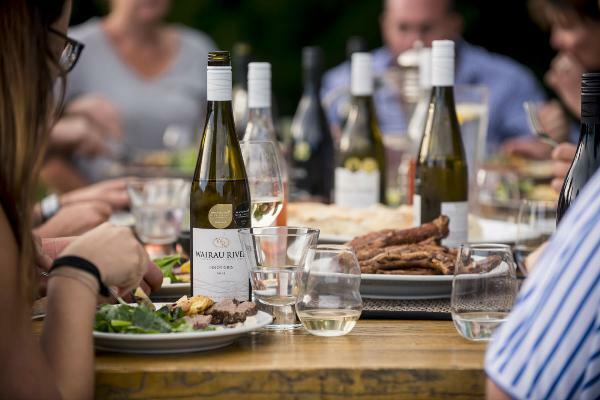 Wairau River Wines is 100% family owned and run nurturing the skills and talents of each member of the family, from viticulture, winemaking and the very popular Wairau River restaurant. Wairau River embodies the Rose family’s strength, individuality and teamwork. Wairau River Cellar Door & Restaurant provides a relaxing atmosphere where you can enjoy a complimentary tasting of our delicious wines and discover the Wairau River story, whilst leisurely sitting in comfort by the open fire during winter or outside on the sun drenched lawn.